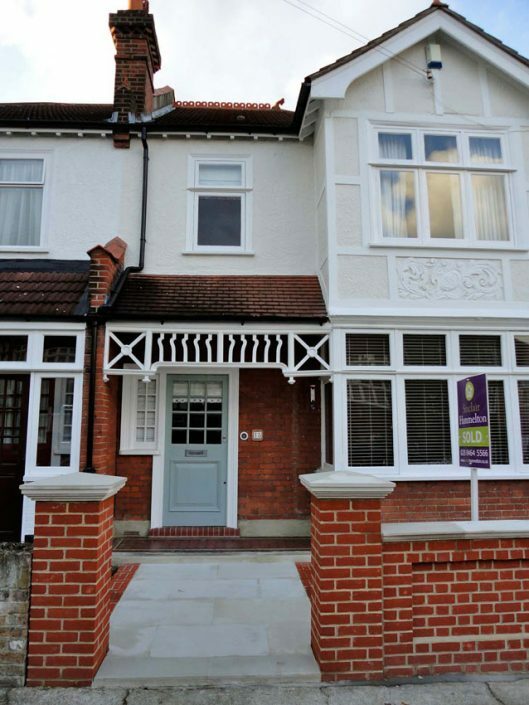 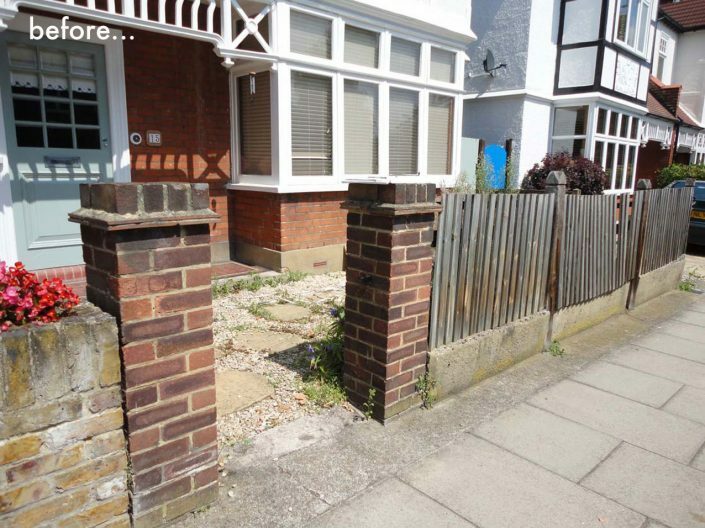 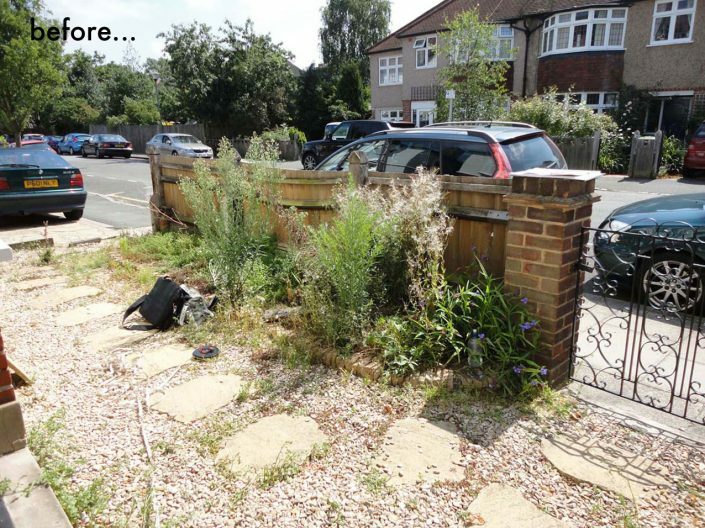 A lovely Edwardian family home had a very sad & neglected front garden. 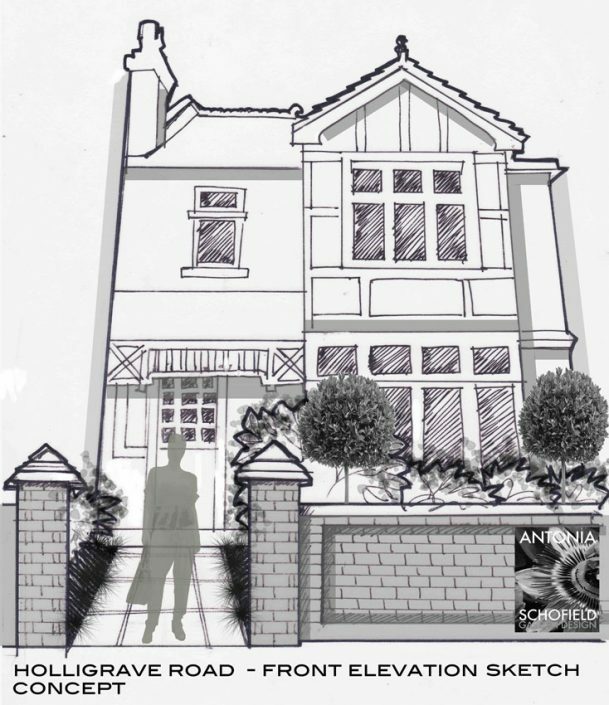 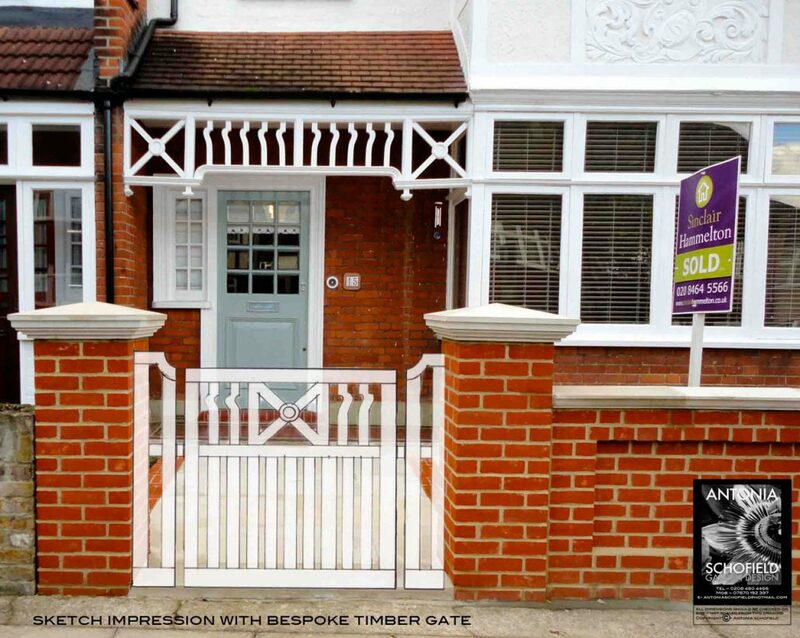 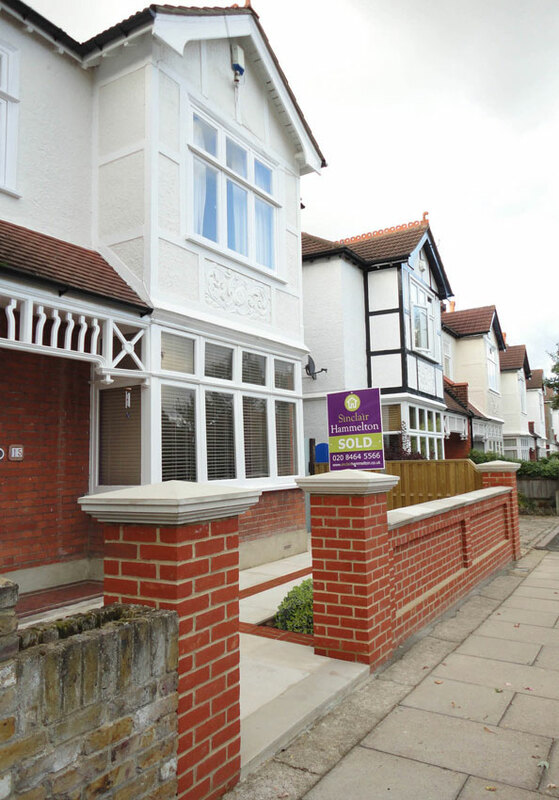 The clients wanted a classical scheme that would compliment the architecture of the house and give the property much need kerb appeal. 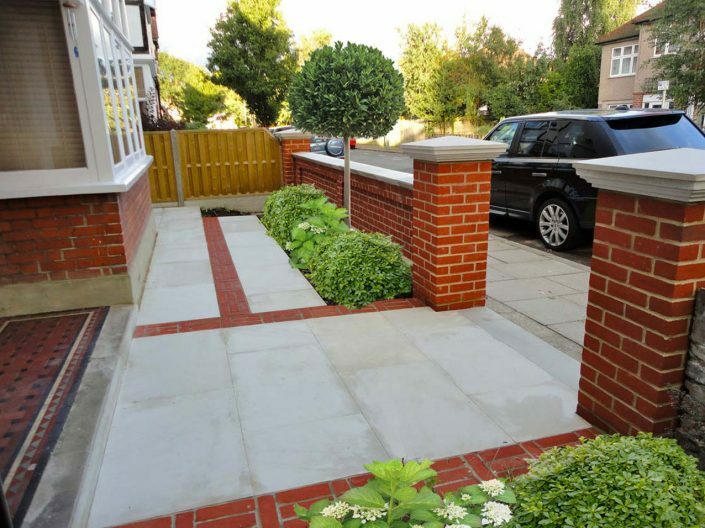 A chic contemporary update on a classic front garden was required and careful attention was paid to the design & hard landscaping materials. 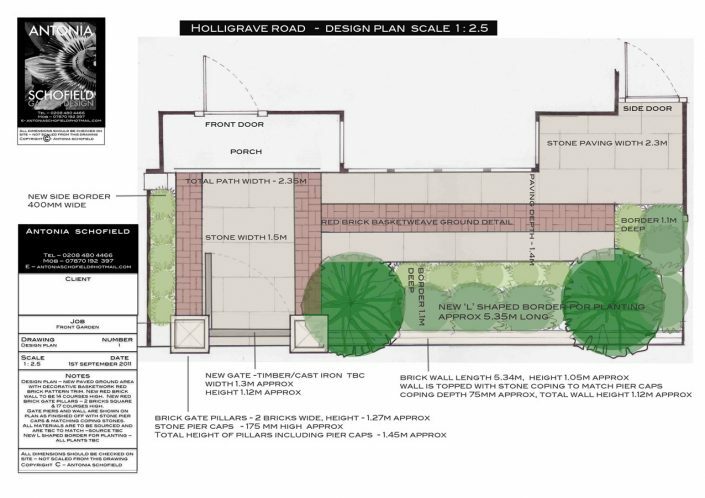 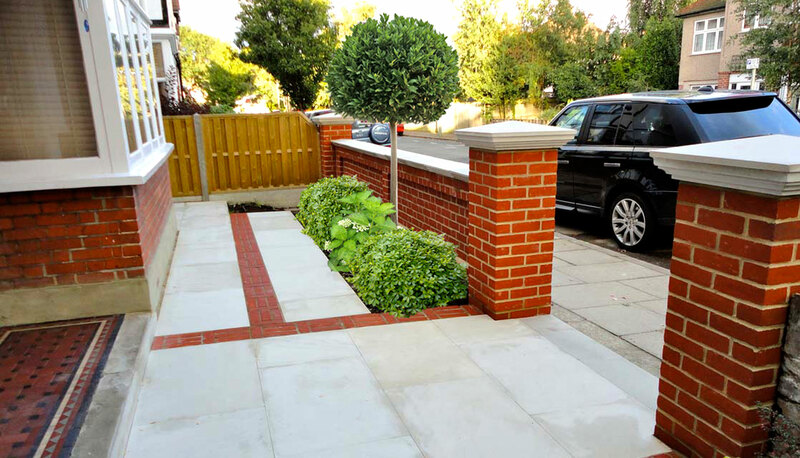 The key ingredients to this design were a classic red brick, sourced to match the house, elegant diamond sawn buff sandstone paving and classic stone copings and pier caps were colour matched to the new paving. 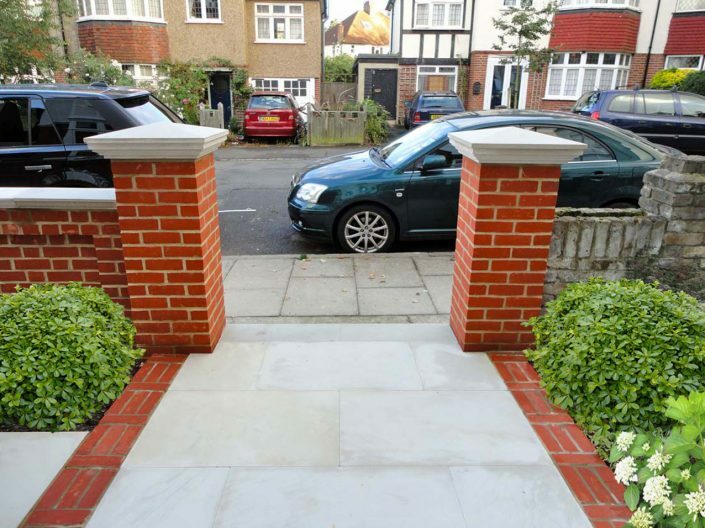 I wanted to create more drama to the front entrance, which was widened, and impressive brick pillars topped with classical cone shaped piers caps were built to either side. 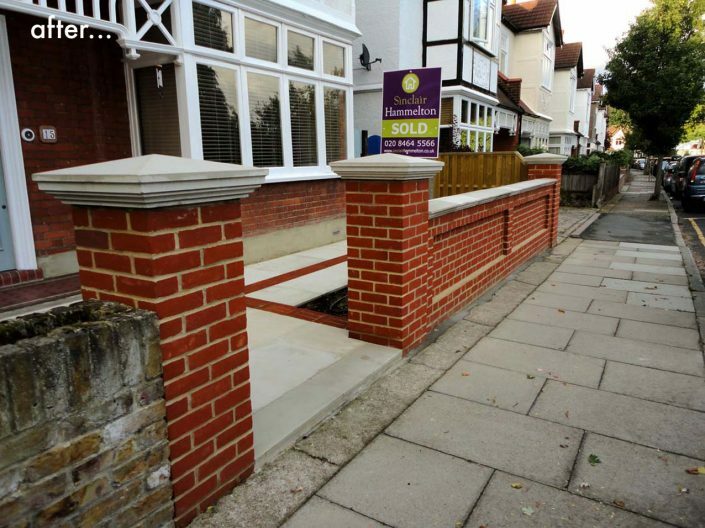 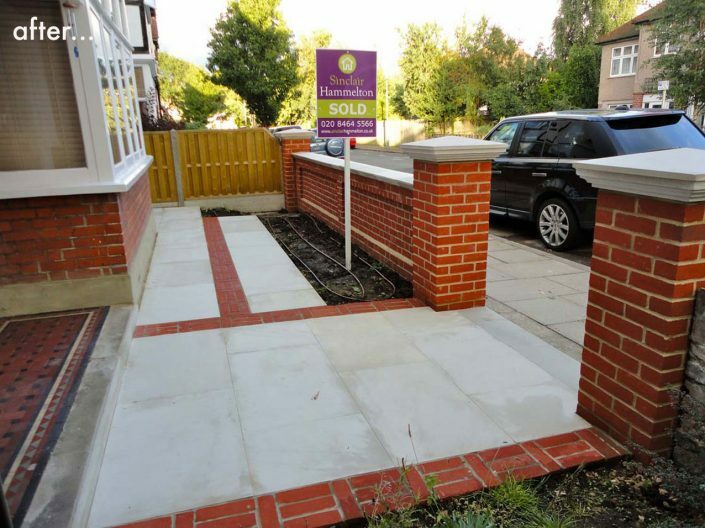 These pillars were linked to a classically constructed brick wall finished off with bespoke copingstones. 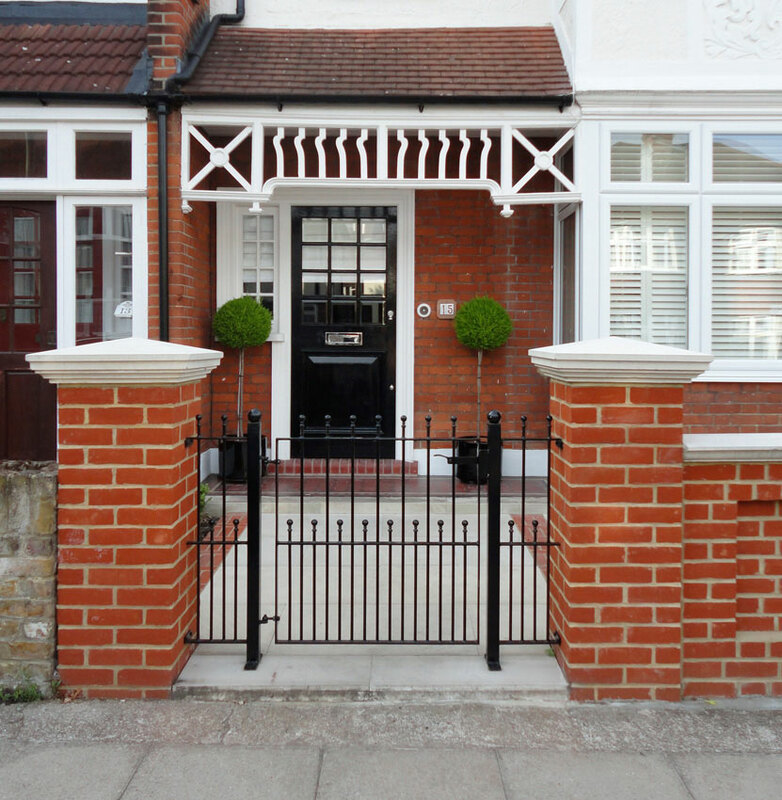 A paved front terrace in the garden was made from pale sandstone, with a classic ‘basket weave’ brick pattern trim to link back to the wall & house. When the construction was complete the clients were able to sell their house in one week and achieved their asking price.